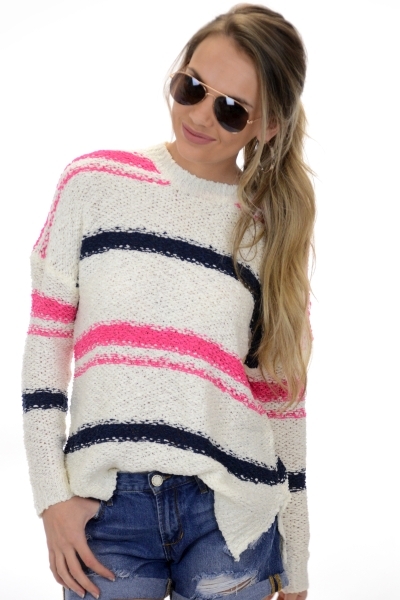 We love a good sweater option for spring! 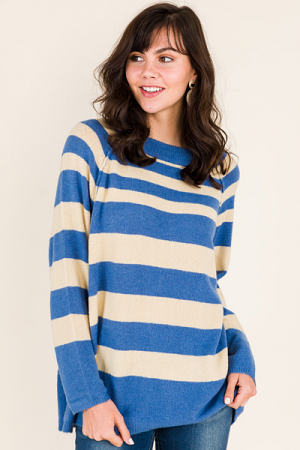 With a bright color combo, this one is perfect for transitioning into the next season! It has a slouchy, laid-back look that we love, and a slightly open weave to keep it from being too hot. Acrylic-blend. Fit is true to size. Jordyn is wearing size small.